A moving performance by Marvin Sapp at Verizon Wireless's How Sweet the Sound in Detroit. D.C.’s Praise 104.1 FM had a very special, multi-talented guest on its Friday morning program. The Rev. 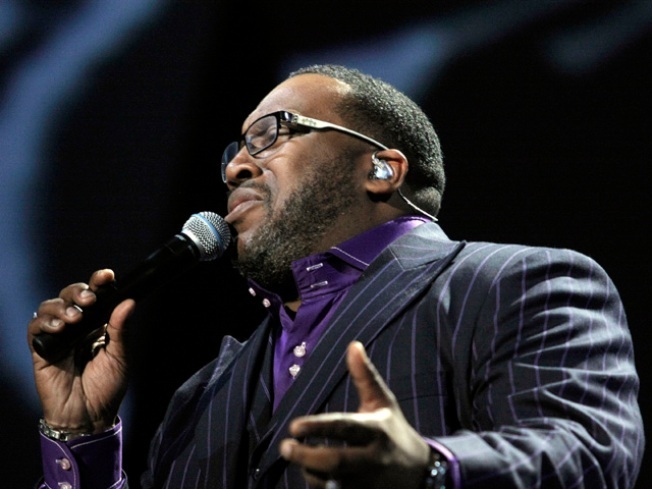 Marvin Sapp stopped by the studio for an exclusive interview with radio personality Cheryl Jackson and discussed his new album, among other things. The 45-year-old Michigan native grew up singing in a number of gospel groups and has already recorded seven albums. He says his new album is about being a winner and what it means to him. “Being a winner isn’t about when you cross the finish line, but how you cross it,” said Sapp. He had three beautiful children with his wife MaLinda Sapp, a professor and psychologist. Tragically, Mrs. Sapp lost her life in 2010 due to complications from colon cancer. The widower says that right now, he’s focused on his music and on exploring and enjoying life. Click here for more of the interview.